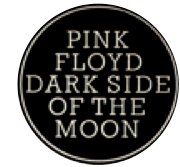 Hope you find what you need, and something you didn’t previously know, on thedarksideofthemoon.co.uk – and if you don’t feel free to contact The Curator. As life-long Floyd fan, early CD enthusiast, and official Pink Floyd Advisor to The Brighton Dome, I’ll help on anything related. Good luck with this initiative. It’s great to know that there are more folks out there who understand the impact of Pink Floyd on music and on culture in general. Shine On fellow Floyd enthusiasts! Please count me in. I’m in the United States in Hampstead, North Carolina. What a valuable and fascinating project! Keep me posted.